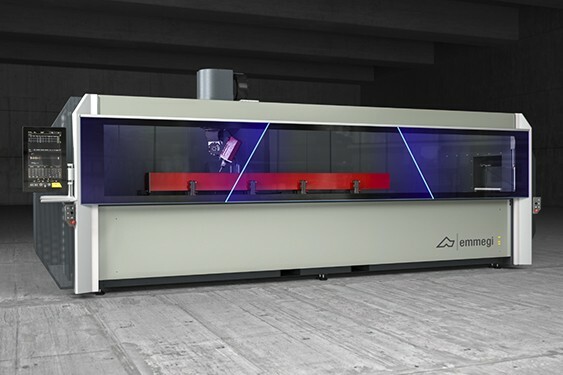 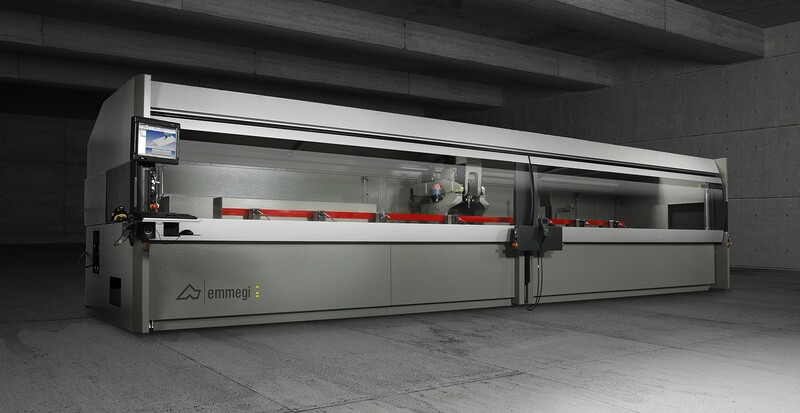 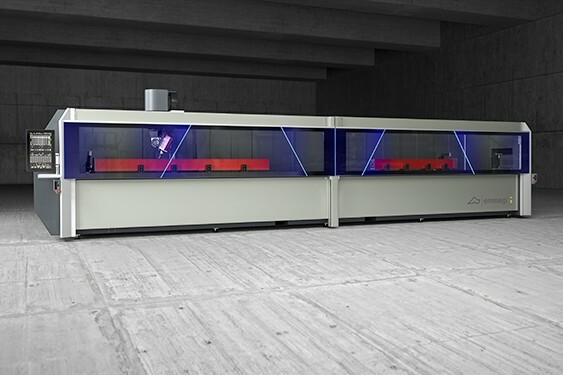 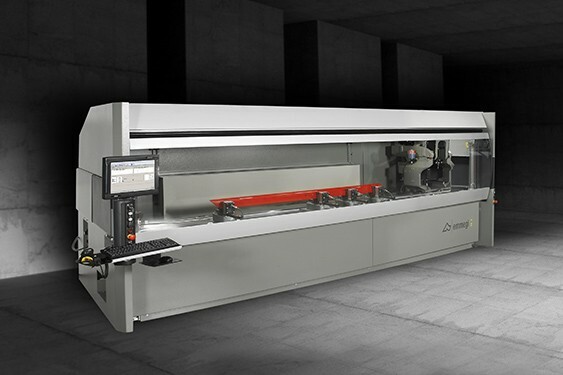 CNC machining centre with 4 controlled axes for machining bars or workpieces made of aluminium, PVC, light alloys in general or steel. 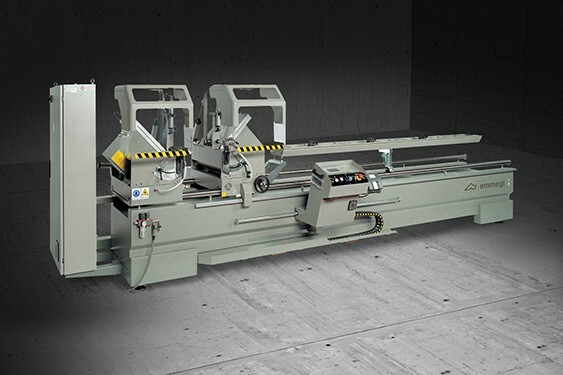 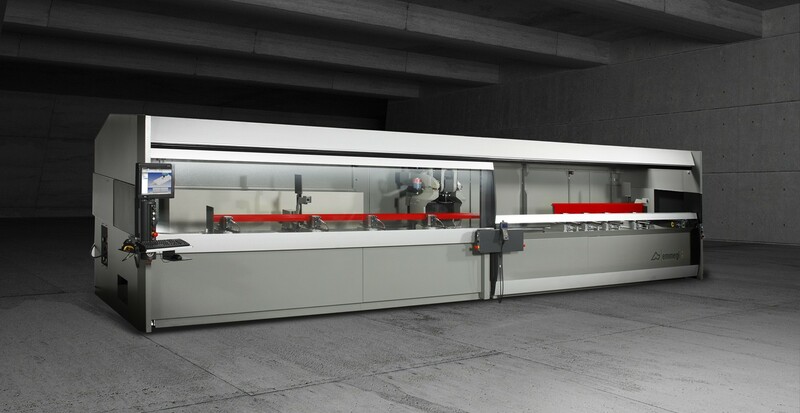 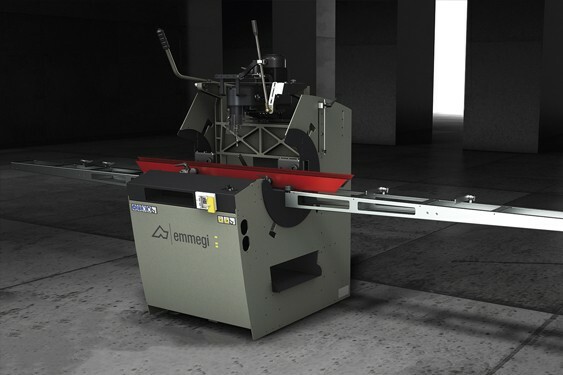 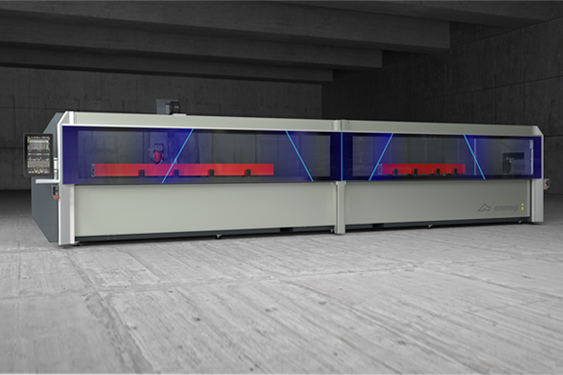 It has two modes of operation: either in just one work area for bars up to 7.7 m long or else in two independent work areas. 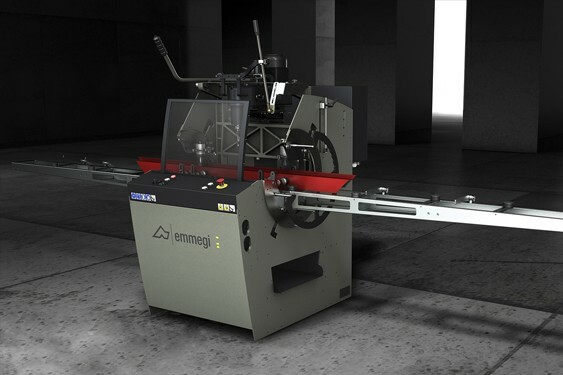 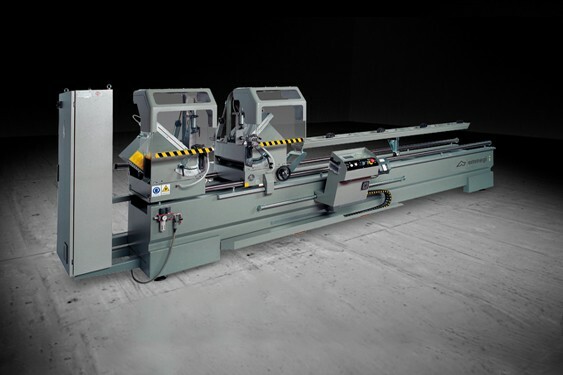 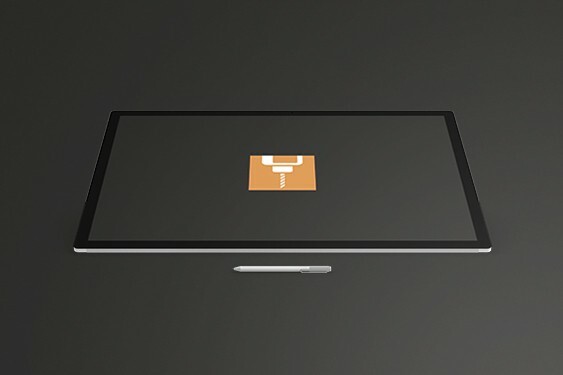 The versions COMET T6 HP, with 2 extra axes for vices and reference stop positioning, and COMET T6 I, with independent motor-driven vices, enable the vices to be positioned in concurrent operation time when the machining centre is running in double mode. 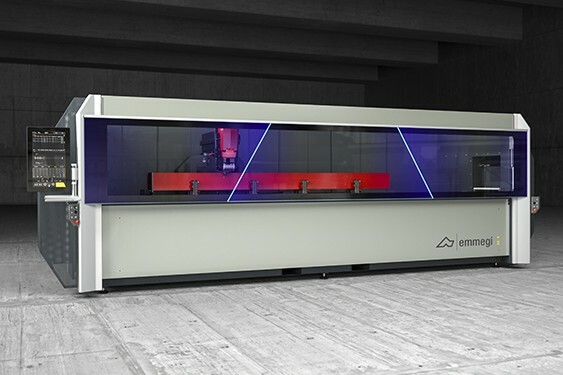 The 4th axis allows the electric spindle to be controlled by the N/C continuously in the range 0° to 180° for machining the profile contour. 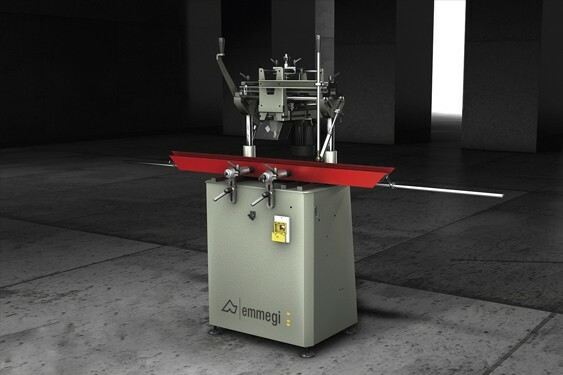 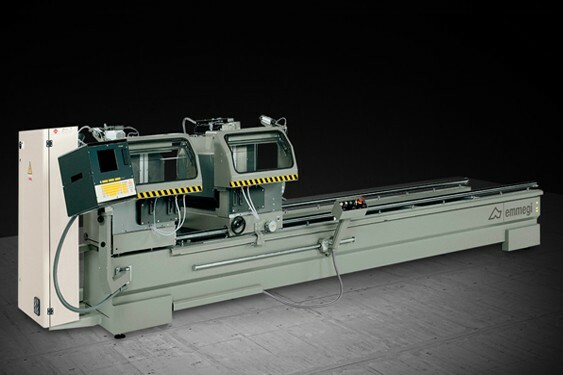 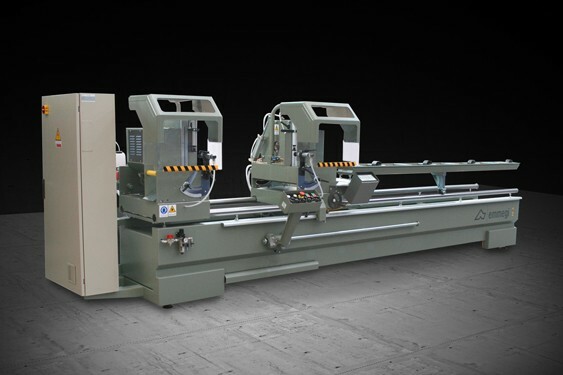 It is equipped with an 8-place tool magazine on board carriage, capable of containing 2 angle machining heads and a side milling cutter, for machining the 5 faces of the workpiece. 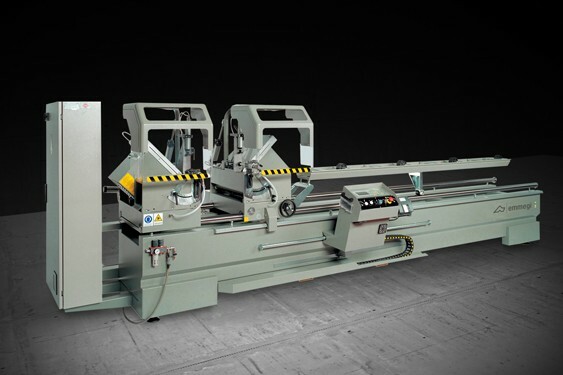 It also has a moving work table which makes workpiece loading/unloading easier and increases the machinable section considerably.